Underneath what can be viewed as a rather cold exterior is a bubbling, Helsinki is a thriving and forward thinking city. I first visited Helsinki on a dreary, cold November’s day in 1997. Everything and everyone seemed grey. Grey clothing, grey complexions, most of the buildings seemed to be grey and the sky, well that was grey as well. The many times I have come back to Helsinki since and at all times of the year, the Finns and Finland are anything but grey. 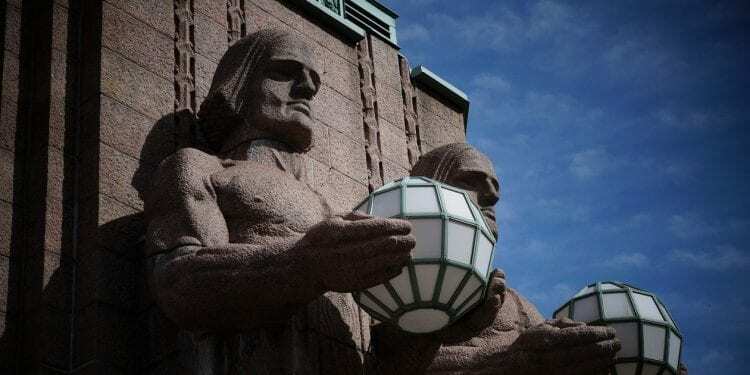 Underneath what can be viewed as a rather cold exterior is a bubbling, thriving and forward thinking Helsinki that is firmly establishing itself as a city on the rise amongst Europe and the Baltic heavyweights. My latest visit was my first in six years and this time Helsinki was bathed in an early morning sunrise haze, the tips of the two torch bearers and the clock tower on Helsinki’s central station basking in brilliant orange. I was on an unusual assignment, which was to report on the Finnish rugby finals; a sport which, like Finland, is coming out of the shadows from their more recognised rivals. Helsinki is a city that can often surprise the unsuspecting visitor with its six-degrees of nightlife, historic attractions and for a plethora of unique architecture. Given my six-year absence I was behind the times and therefore requested help from a Finnish friend of mine, Laura Gattiker, whose mother hails from Salo. Laura presented me with two pages of recommendations, one for culinary requirements and the other for places to visit. Most of these suggestions I had never heard of; clearly a good sign on how Helsinki is constantly evolving and adding new identities to its growing reputation. Take Löyly Sauna near to Hernesaari on Helsinki’s southern peninsular as an example. There are roughly 3.3 million saunas that operate in Finland; a fair ratio for the 5.4 million Finnish population. Having a sauna in Finland is one of the nation’s most common pastimes, rather like having a surf before work in Australia, so the sauna business is a serious undertaking. After two failed attempts with investors, the team finally got the green light to go ahead with their project, the result being that Löyly is now one of the coolest places in Helsinki to hang out at. The two architects, Ville Hara and Anu Puustinen, wanted to create a sauna that was sustainable all year round. The complex is entirely constructed of wood and would not look out of place in Miami or St Tropez. Having a glass of champagne on the outside wooden decks between sauna sessions and freezing dips in the Baltic Sea (for the brave, I should add) is a must, especially when the sun is out and with an appropriate front seat to views over the Baltic Sea. Visitors have much to explore in and around the city. Previously unheralded suburbs like Kallio are now the cool spots to go to and complement Helsinki’s more familiar sites. The imperious Tuomiokirkko Cathedral still stands as the beacon of Helsinki’s present and past. Now thankfully free of scaffolding, which always seemed to be present on my past trips, it is not hard to understand why people compare the Cathedral and this area of the city as a little like St Petersburg. Having a lazy wander along Helsinki’s harbor is a good place to start. One can peruse the markets that sell anything from the delicious local fish delicacy, Muikku, through to a set of reindeer horns. Helsinki’s harbor is the gateway to the Baltics and the fortress at Suomenlina, which is accessible by an admittedly costly ferry ride, is well worth a visit on a decent day. Suomenlina Fortress was built to try and counter any threat from sea invasion. Finland has only had its independence from Sweden since 1917 and has spent most of that time trying to keep out the marauding Russians who were keen to exploit any opportunity to bolster their influence on the Baltic nations. Back in the city there are still the subtle hints to a once complicated but history-laced Russian past as illustrated by the statue of Alexander the Second, the Tsar of Russia and the Grand Duke of Finland, in the centre of the square in front of Tuomiokirkko Cathedral. Helsinki is now firmly established as one of Europe’s most prominent design innovators including the prestigious honour of being the design world capital in 2012. The city’s cultural and culinary scene has taken off in the last 10 years with new and fashionable cafes, bars and restaurants sprouting up all over the place. Helsinki has a maze of enticing side streets and alleyways if one is willing to put the walking yards in. Even the most particular of pallets is provided for and I had a particularly agreeable dinner at the Karl Johan restaurant tucked cozily away on Yrjönkatu Street, an elegant back street just a stone’s throw away from Helsinki’s more lively city centre. As a recommendation, try the grilled pork neck with black garlic washed down with a glass or two of Spanish Hito Tinto Red. Helsinki’s atmosphere and appeal has changed considerably since the 1990s. 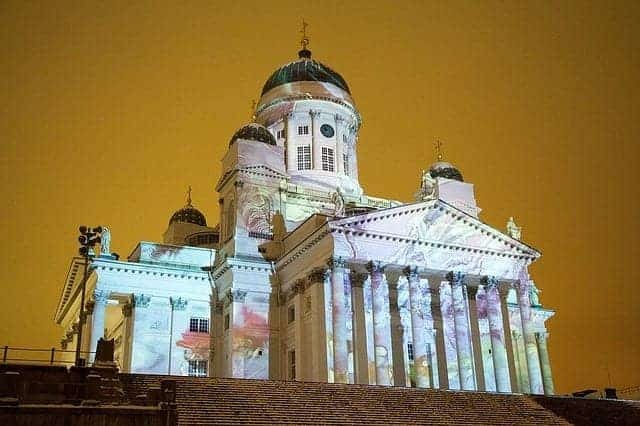 This transformation has put Helsinki firmly in the forefront as a leading European weekend destination to visit. These days Helsinki is an attractive city that is home to a mix of regal neo-classical, contemporary and modern buildings and churches. Each year it seems that Helsinki is adding different strings to its bow as a design powerhouse, a European getaway and a city with strong cultural and historical bonds. Helsinki is equally welcoming in the autumn as it is in the 24-hour sunshine that it enjoys in the summer.